Oscar Wilde's timeless tale of eternal youth is very well translated to the screen in this adaptation. 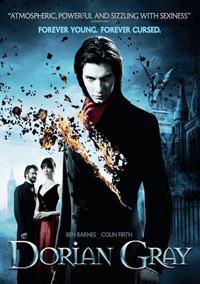 After his huge inheritance, Dorian Gray arrives in London a young, fresh, impressionable innocent. But very soon the new surroundings and excessive influences corrupt him, especially from one socialite (played by pre-Oscar winner Colin Firth). But, a painting trapping Dorian's youth becomes the vessel of his excess, decaying as he remains young, vibrant and free to indulge himself on all levels. Tragedy is inevitable as Dorian's life of self-satisfaction turns destructive and deadly. A very different kind of costume drama / period piece.